One of the reasons many golfers spend so much time perfecting everything about their bag? It says a lot about their game, as well as who they are off the course. Nashville-based Sunfish is known for its wool head covers, but in recent years the company has expanded into leather head covers, cash covers and scorebook/yardage book holders. We spoke with Sunfish Co-Founder Alonzo Guess and Minister of Marketing Nathan Stiteler about the company’s growth, and what it’s doing to help golfers get the perfect gear for their game. WRX: Custom golf clubs have increased in popularity in recent years. Is the same true for custom golf accessories? Alonzo: We are definitely seeing a trend toward more customized accessories, for on andoff the course. It’s been great working with our customers to expand our range of custom options in response to this demand. We take feedback very seriously when considering new product offerings. Many of our design decisions are made based on feedback we see on the GolfWRX forums. WRX: What can be customized from Sunfish? What can’t be? Nathan: We like to keep an open-door policy with custom requests. A lot of our greatest product ideas have come from our customers requesting something out of the norm. 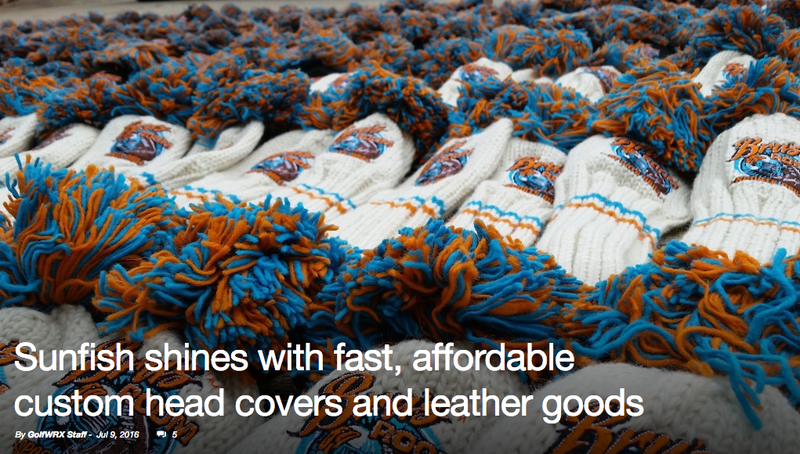 Right now, our website allows our customers to completely design their own knit and leather headcovers, scorecard and yardage book holders, and cash covers. There are a few new products that are in the works to add to that list. We always encourage people to let us know if there are options that they’d like to see, so we can add them to our custom builders. So really, the sky is the limit. If you can dream it up, chances are we can make it happen. WRX: Tell us more about your “greatest product ideas” that have come from customers. Nathan: My personal favorite item created by a customer is the infamous Ric Flair headcover. We’ve gotten so many calls about this headcover that we had to add it to our store permanently, and have started to pursue character items a bit more. The Ric Flair has also made for a pretty entertaining GolfWRX thread as well. This item is a sure way to make your friends jealous on the course. 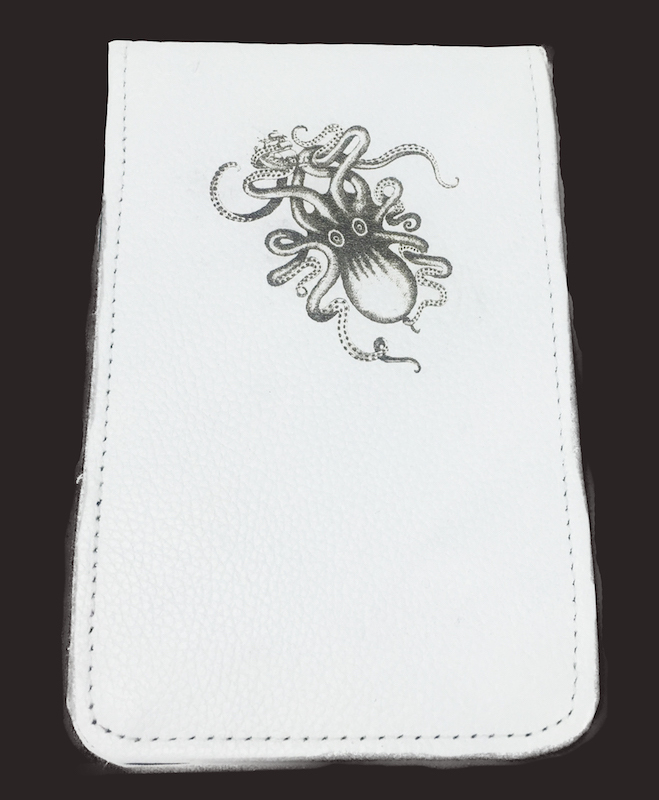 A custom Sunfish leather scorecard/yardage book holder with laser engraving. Another great idea and recent addition is our laser engraving option. This option gives us the ability to turn around leather items with personalized images and text extremely quickly and with high precision, which is definitely a life saver for customers who find themselves in a time pinch. Having this full range of custom options has also paved the way for big tournament orders as well. A lot of customers who have built out their own personal items with us have gone on to order for tournaments, charities, and other events. WRX: Are your sales primarily to individuals or groups? For both groups, what is most popular right now? Alonzo: We consistently work with individuals and groups, and the most popular category for both are our custom options. Designing your next custom order is a fun process, and one thing our customers find helpful is seeing examples of our work. To make this process easier and more fun, we’ve recently created a brand new image gallery. It’s a great way to have fun looking at our work, while generating ideas for your next order. For individuals who already know what they want, they can use our custom product builder on our website. 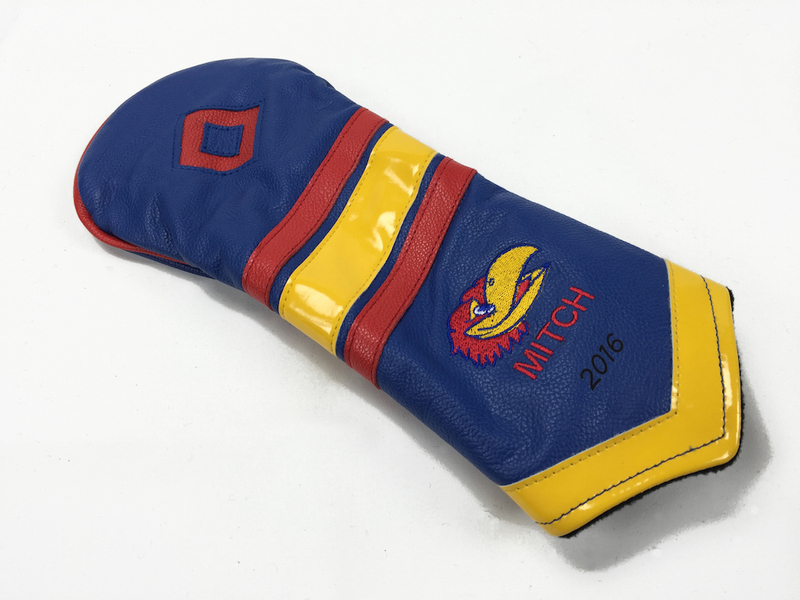 If someone is looking to customize some products for their golf shop, or is wanting something special for an upcoming event or tournament, they can reach us directly at [email protected] or complete a wholesale contact on our site. In all cases, we’re happy to work with those looking to create something unique at a great price.